Blue diamond engagement rings should speak for themselves. So should the other gorgeous jewels inside the cases across your shop. Yet even with unique hand cut diamonds and superb pricing, your merchandise still has to leave a ‘sparkle’ in the customers’ eyes. The most common sentence uttered in a jewelry store? “It just doesn’t shine enough.” One of the biggest attractions when visiting a jewelry store is seeing the dazzle of the diamonds. Without that dazzle, no matter how lovely or interesting the jewels being sold are, individuals are not as attracted to the merchandise. Lighting plays an especially crucial role when discussing the “four C’s” of diamonds, which are clarity, cut, color, and carat. For each of these qualities to be seen properly, diamonds must be placed in the proper lighting. Lighting in the store and inside of display cases should complement diamonds and entice buyers. Choosing jewelry store lighting is no easy feat. Unwanted shadows and glare are important factors to consider for your store. When selecting store lighting, reflect on your ceiling design. For example, if you have higher ceilings, you may want to consider using spotlights because they fan out less. If you have lower ceilings try using narrow flood lights for a better beam angle. These will help even out the angles of light in your store and reduce shadows and glare. 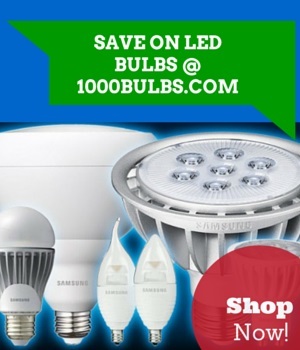 The use of halogen lamps is popular for display lighting because they produce more light than standard incandescents. However, there are a few major drawbacks to using halogen lighting. Halogens emit more heat than standard incandescent lighting, which can make them more difficult to handle, affects store temperature, and increases climate control costs. These lamps also emit more of a yellow light, which can interfere with the actual color of the diamonds or other jewelry being displayed. Under the wrong light a white gold band may appear rose gold. Consistency is incredibly important when choosing store lighting. This is why we recommend enhancing the vivid colors of the beautiful jewelry that surrounds you using LEDs for overhead lighting. Soraa LEDs for instance, offer a precise beam of light and are ideal for producing richer colors and minimal spill. LEDs emit little to no heat without any appreciable loss of color temperature, giving you the light needed to make your pieces sparkle. Although LEDs are more expensive when it comes to upfront costs, they have much longer lifespans than halogens, making them more cost-friendly in the long run. When lighting jewelry cases, it is vital that light is evenly displayed throughout the case. As with lighting the store, uniformity is key when lighting the cases. Fluorescent tube lighting has long been a standard source for display lighting. Fluorescents do not emit the same yellow light as halogens, but have a poor CRI and tend to wash colors out. With age, some fluorescents are known to flicker, which is not ideal when trying to sell that stunning pair of 34 carat diamond hoop earrings. Also, fluorescent lamps actually lose a lot of their lumen power during the first 100 hours, making them costly over time. Because case lighting is part of what captivates a customer, we recommend LED strip lighting or tape lighting as an alternative method for case lighting. While strip lighting is not measured in Kelvin for color temperature, it is much better than fluorescent bulbs for case lighting. Strip lights are small, easy to use, high powered, energy efficient and flexible. Strip lighting is cost effective and ideal for the small spaces in jewelry display cases, provides a crisper light, helping to highlight the reflective tones in your jewelry. Jewelry store and case lighting is just as vital as the precious stones you are selling to your customers. Without the proper lighting to highlight your exquisite jewels you may as well sell canary yellow pebbles. Care to add any additional information on the subject of jewelry case and jewelry store lighting? Leave a comment below or drop a line at Facebook, Twitter, Google Plus, LinkedIn, or Pinterest.